01/05/18 Engine Ford motor company (ford) is recalling certain 2014 escape, 2014-2015 fiesta st, 2013-2014 fusion and 2013-2015 transit connect vehicles equipped with 1.6l gtdi engines. if the vehicle is started and driven with an insufficient level of coolant within the engine cooling system, the engine cylinder head may overheat, crack and leak oil. 02/27/15 Engine Ford motor company (ford) notified the agency on january 8, 2015, that they are recalling certain model year 2014 ford escape vehicles manufactured april 15, 2014, to may 8, 2014, and 2015 lincoln mkc vehicles manufactured april 21, 2014, to may 15, 2014. on april 30, 2015, ford expanded the recall to cover an additional 45,505 vehicles, including certain model year 2014-2015 ford transit connect vehicles manufactured november 11, 2013, to august 29, 2014, 2014-2015 ford fiesta vehicles manufactured april 10, 2014, to june 17, 2014 and 2014 ford edge vehicles manufactured april 30, 2014, to may 21, 2014. improper nickel plating of components within the fuel pump may result in the fuel pump failing. 07/21/14 Engine Ford motor company (ford) is recalling certain model year 2014 ford fiesta vehicles manufactured october 25, 2013, to february 27, 2014. due to a manufacturing error, the fuel tank may leak. Ford has notified the affected owners. dealers will replace the fuel tank, free of charge. the recall began on july 14, 2014. owners may contact ford customer service at 1-800-392-3673. ford's number for this recall is 14s12. 10/26/12 Electrical and Air Conditioning Ford is recalling certain model year 2011-2013 fiesta vehicles, manufactured from november 3, 2009 through september 21, 2012. the vehicles fail to comply with federal motor vehicle safety standard (fmvss) no. 208, "occupant crash protection." the passenger side curtain air bag will not deploy in the event of a side impact collision when the front passenger seat is empty. although the side curtain air bag system was designed to suppress the side curtain air bag under this scenario, that information is not explained in the owner's guide for these vehicles as required by fmvss no. 208. An occupant in the right rear seating position will not have coverage from the side curtain air bag in a side impact collision when the front passenger seat is empty, increasing the risk of injury to the right rear occupant. Ford will notify owners and dealers will reprogram the vehicle's software free of charge so that it no longer suppresses the passenger side curtain air bag when the front passenger seat is empty, and consistent with the description in the owner's guide. 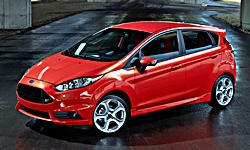 the safety recall began on october 26, 2012. owner's may contact ford at 1-866-436-7332. Ford's recall campaign number is 12c26.owners may also contact the national highway traffic safety administration vehicle safety hotline at 1-888-327-4236 (tty 1-800-424-9153), or go to www.safercar.gov. 05/01/17 Other Ford motor company (ford) is recalling certain 2014 ford fiesta, 2013-2014 ford fusion and 2013-2014 lincoln mkz vehicles. a component within the door latches may break making the doors difficult to latch and/or leading the driver or a passenger to believe a door is securely closed when, in fact, it is not. 12/18/15 Other Ford motor company (ford) notified the agency on april 23, 2015, that they are recalling certain model year 2013-2014 ford fusion and lincoln mkz vehicles manufactured july 1, 2012, to may 31, 2013, and 2012-2014 fiesta vehicles manufactured february 1, 2012, to may 31, 2013. on april 30, 2015, ford expanded the recall to cover an additional 119,567 vehicles, including certain model year 2011 ford fiestas manufactured from november 11, 2009, to may 31, 2013 and certain model year 2013 ford fusion and lincoln mkz vehicles manufactured from february 1, 2012, to june 30, 2012. a component within the door latches may break making the doors difficult to latch and/or leading the driver or a passenger to believe a door is securely closed when, in fact, it is not.